Dense, self-clinging vine. 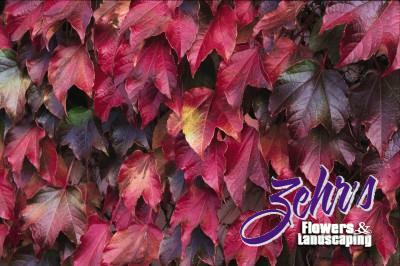 Attractive, thick, glossy green foliage with exceptional fall color of orange to red. Blue-black berries favored by the birds. Excellent for covering masonry.